Woodcliff Lake, N.J. – June 28, 2015… Bill Auberlen and Dirk Werner drove the No. 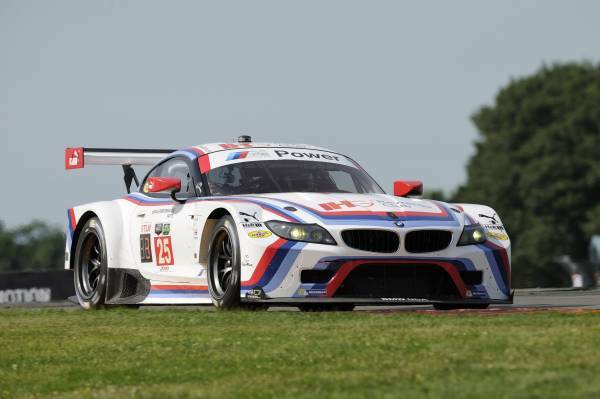 25 BMW Z4 GTLM to a third place finish in today’s very wet Sahlen’s Six Hours of the Glen. The duo completed 157 laps of the 3.4-mile, 11-turn Watkins Glen International circuit with the race slowed by eight caution periods and red flagged during the worst downpour for 14 minutes. 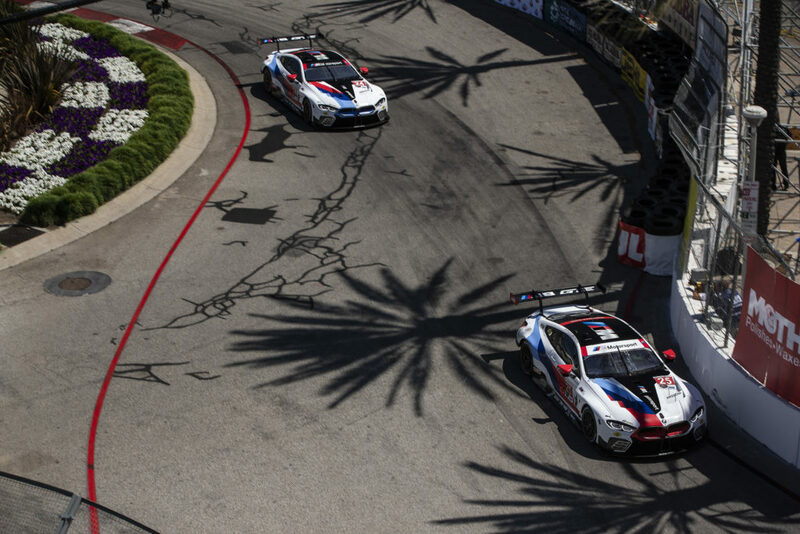 The race ended behind the BMW M4 safety car during the last yellow flag with the victory going to the No. 17 Porsche. 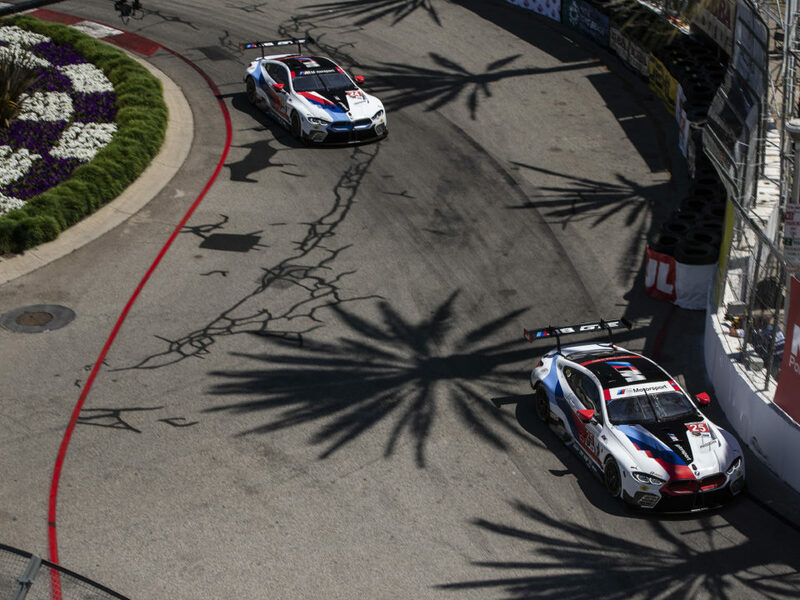 The duo’s third podium finish of the season, including a win at Long Beach, moves Auberlen and Werner to the top of the GTLM driver points standings and keeps BMW at the top of GTLM manufacturer points standings. The day ended in disappointment for the No. 24 BMW Z4 of John Edwards and Lucas Luhr as Edwards was caught out by the slick conditions on lap 77, spinning into the tire wall entering the heading into the “boot” section and was retired from the race. The race started with Auberlen in the No. 25 Z4 and Edwards in the No. 24 car from the second and third class grid positions. A light rain was falling causing Auberlen to spin on the opening lap and fall to the rear of the class. Edwards drove an excellent opening stint, moving into the lead on lap 36, as Auberlen recovered to P4 – 19 seconds back. Both pitted ten laps later, handing off to Luhr and Werner. Edwards was back in the No. 24 Z4 on lap 76 while Werner remained in the No. 25 car, taking over the lead when Edwards went off on the next lap. By mid-race the rain in control of the race and with two hours to go the entire field was racing on wet tires. Auberlen got back behind the wheel of the No. 25 Z4 on lap 118. He was in P3 as the race was red flagged with one-hour-and-28-minutes remaining and the race remained stopped for 14 minutes. The yellow flag waved and the race continued behind the safety car with the team choosing to pit Auberlen for his last stop as soon as the car could make it to the checkered flag. With 30 minutes to go he had moved into second place. The experienced veteran survived the difficult final minutes as the rain poured down causing the track to be extremely slick and affecting the car’s electronics causing the engine to shut off intermittently. He lost second on lap 151 and was unable to get the position back as the race ended under yellow. Lucas Luhr (No. 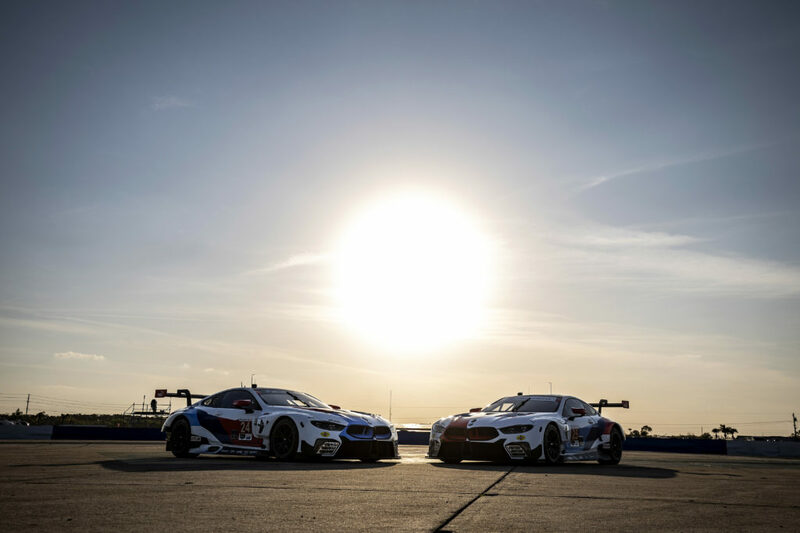 24 BMW Z4 GTLM, dnf): “To be honest it was a very disappointing day, just because I think we had a very strong car in both wet and dry conditions and normally I think with a car like this you could win, but we didn’t even finish the race. This is very, very disappointing, not only for me personally as a driver, but I think also for the whole team and for BMW. If you get a chance like this in a championship that is so close you have got to take it, and unfortunately John had an off and we didn’t take this opportunity. From experience I know on these days when you are by far the quickest car on the track don’t come that often in this tight and competitive year. On the bright side, we know we have a very strong package, our BMW Z4 is mega, and really I have so much fun driving it. If you ask me now what I would do to make it better I cannot tell you, so that is a good thing. Our sister car at least got on the podium, but for the next race we need to get our heads together and take the opportunity which has been given to us. Round Six and the start of the second half of the 2015 TUDOR United SportsCar Championship will be held at Canadian Tire Motorsport Park, in Bowmanville, Ontario, Canada, on July 12th. The two-hour-and-forty-minute Mobil 1 SportsCar Grand Prix will be broadcast live from 12:00 to 3:00 p.m. ET on Fox Sports One.